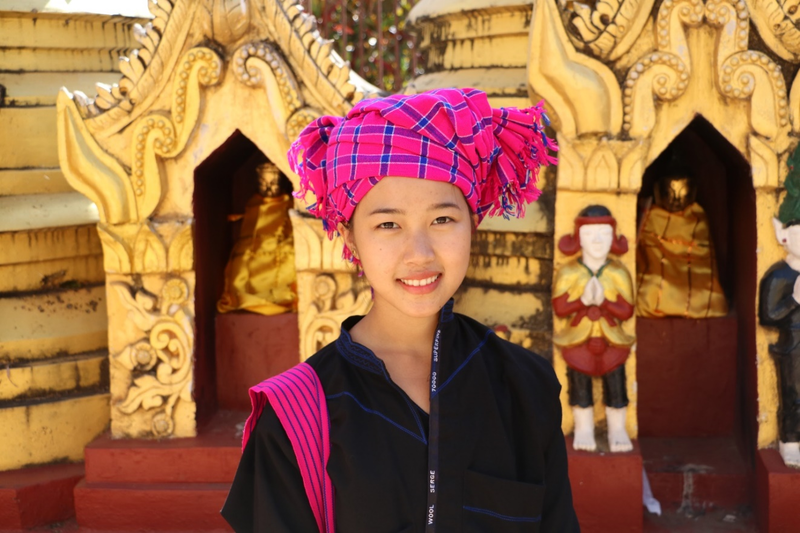 There I was at the Kakku amid a forest of stupas about two dozen miles from Taunggyi. Kakku contains around 2,500 Buddhist stupas. 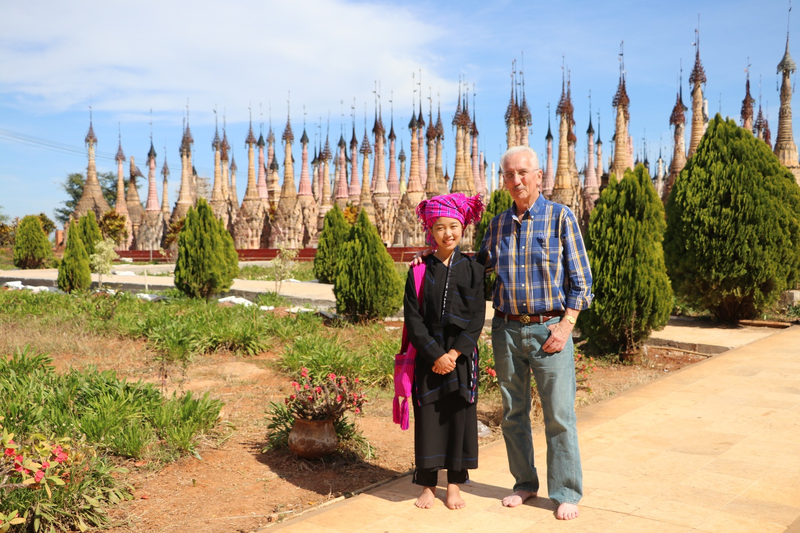 My tour guide, Ko Ko, who is the father of my three granddaughters, took me around what is often called a forest of stupas. Stupas were constructed many centuries ago and contained relics important to Buddhism. Interestingly, Ko Ko was also training a student guide that day. Her name is Han Thi Oo. She was an excellent guide and was eager to help. If I were her grandfather, I’d be proud of her. This reflecting pool at Kakku is amazing. As Ko Ko lead me through the forest of stupas, he insisted upon carrying my backpack. We argued about that for a long time, and I just gave up. His youngest daughter and my granddaughter, Fatty, calls me Bo Bo Gyi, which means in Myanmar great grandfather. Ko Ko must think that the most recent incarnation of Bo Bo Gyi was too old to carry his own backpack. Other than our debating about who would carry my backpack, Ko Ko knows about everything imaginable related to the tourist sites in the area. Case in point. As we walk all over the grounds, he stopped at one of the 2500 stupas. It looked like just an average one to me. I teach many humanities classes, one of which is a survey class of world religions. 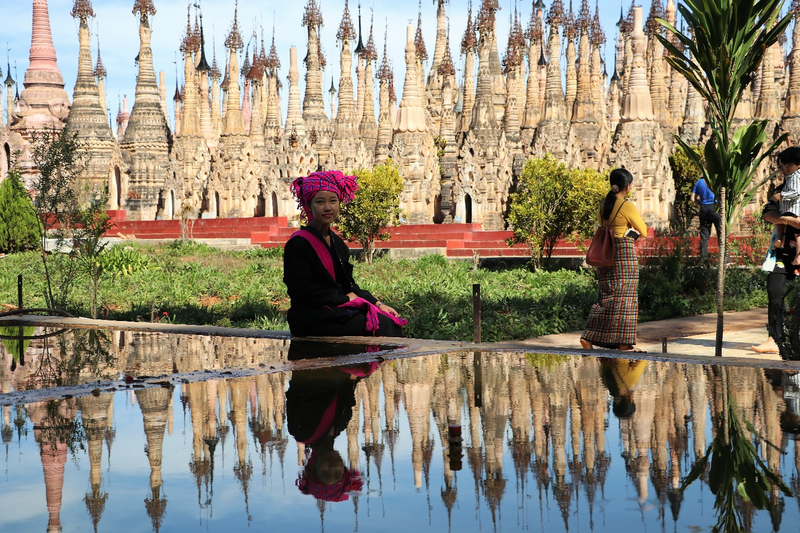 I have been to thousands of stupas in my travels of Indochina, Tibet, and Myanmar. There we were at this stupa. I didn’t understand its importance. I must have looked confused. Then Ko Ko pointed down at the base of the stupa. This is what I saw. All that I saw was some green vegetation growing at the base of the stupa. 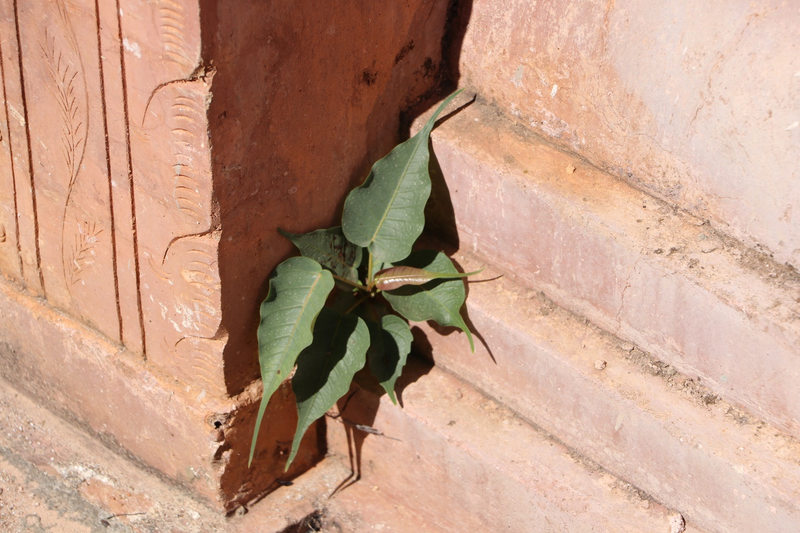 Ko Ko could tell that I didn’t notice the significance of this handful of leaves growing between the cracks of the stupa. He explained that this little growth was the beginning of the Bo Tree, which is also called the Bodhi Tree. This is a large Bo Tree or Bodh Gaya in Bodh Gaya, India. 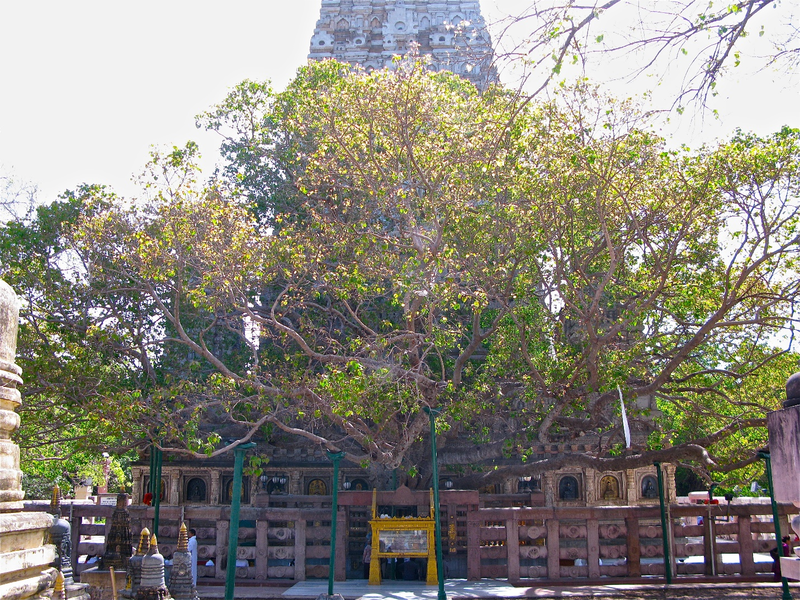 There are several legends associated with the Bo Tree in Bodh Gaya. Some believe that it was the actual tree that Buddha was sitting under when he reached enlightenment after a week of meditation. I was aware of that legend. 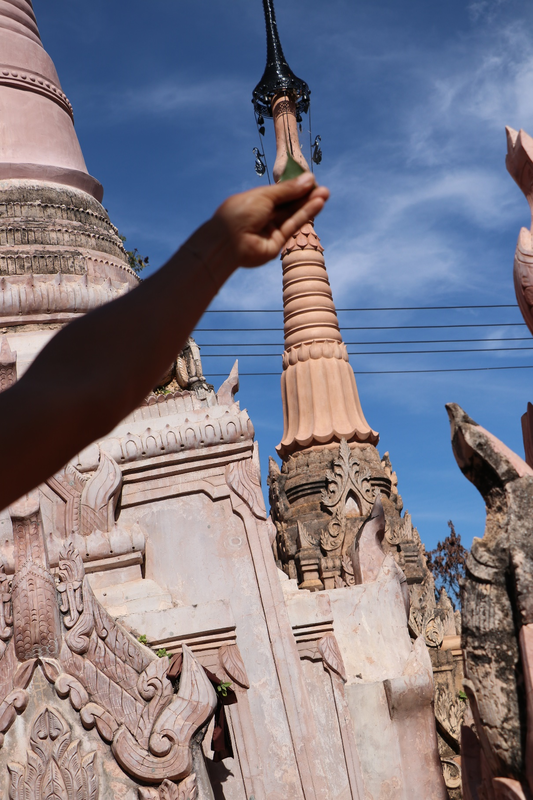 However, Ko Ko took a leaf and held it up to a spire of nearby stupa. Bingo. Now, I understood Ko Ko’s lesson. The shape of the Bo Tree leaf was represented in the shape of the top of the stupa. 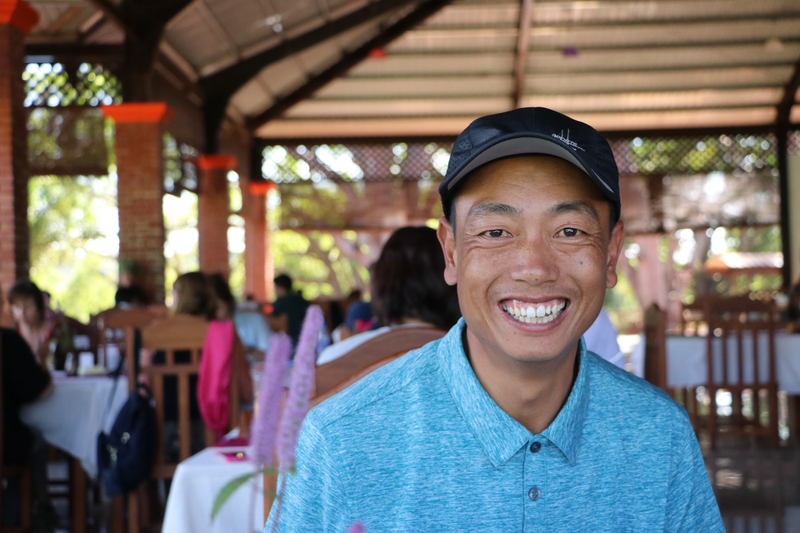 After my class with Ko Ko, we went to lunch near the forest of stupas. If you want an excellent guide, let me know. I’ll get you linked up with Ko Ko. He knows his history.